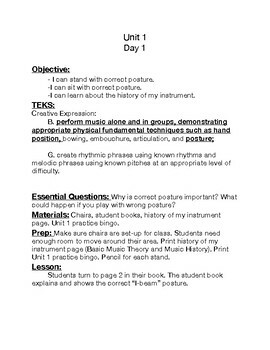 For beginning orchestra, heterogenous classes. These are lesson plans for Unit 1. Unit 1 covers correct playing posture, playing the open strings, and playing D-E-F#. 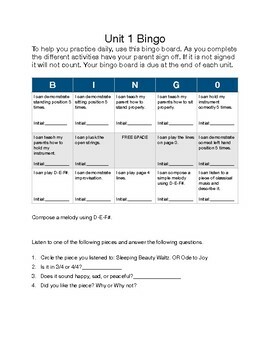 Unit 1 Practice Bingo is also included in this set. 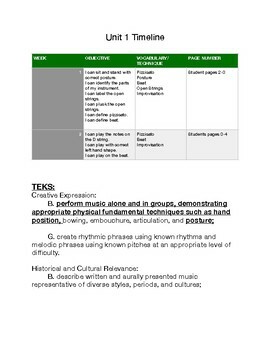 Lesson plans are TEKS aligned.